Welcome to Year 6! We feel that Year 6 is both an exciting and important year, where we have the pleasure to watch our pupils mature and grow. 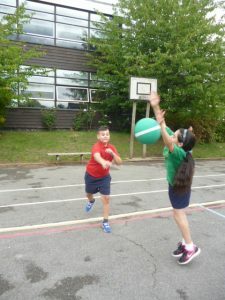 Our aim is to ensure that our children enjoy their final year at Hadley Wood and leave it filled with happy memories of their time at our school. 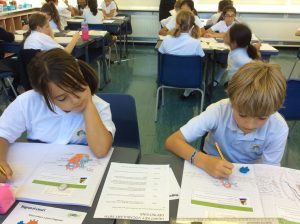 Year 6 is a busy year group – we are already working hard on deepening and broadening our knowledge of core curriculum areas including Maths, English and Science. This year everyone in Year 6 can look forward to exciting topics including The Great War, WW2, Coastlines and a very magical Harry Potter unit! 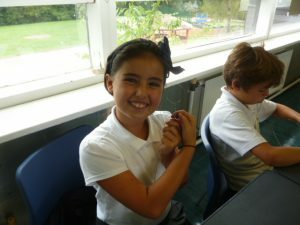 The Year 6 team are keen and eager to ensure that the final year here at Hadley Wood is a productive and successful one. We aim to provide a learning environment where all children feel valued and are given the tools to achieve their fullest potential. Our priority is for children to leave Year 6 with a good educational base for secondary school and a range of experiences which allow them to continue to develop their interests and talents. Together, we will face a number of challenges including preparing for SATs and the transition to secondary school! 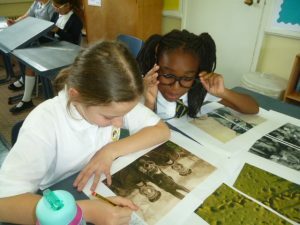 However, it is not all revision, revision, revision… In our creative curriculum lessons we will plan and cook war-time ration recipes, test and build our own Anderson Shelters, build a model World War 1 solider and even create our own silk art paintings! We will also be heading out on a number of fun and exciting excursions such as visits to the Wyllyotts Theatre in Potters Bar to watch Shakespeare’s production of A Midsummer Night’s Dream, Harry Potter World, Junior Citizenship Day and of course our much deserved PGL holiday! On top of all these exciting prospects we also have our phenomenal end of year production, Arts Trophies and sports days to look forward too. It is going to be a wonderful year!